PHP based web applications are totally secure due to PHP being an encrypted language. These web applications developed on PHP require minimal manual intervention as they are capable of auto refresh. The flexibility and scalability of PHP make it an ideal platform for cross-platform web applications development that is truly interactive and equally intuitive with smooth execution. Database plays a vital role in the development of highly customised web apps using PHP. Let us discuss which are the best available databases that promise perfect synchronisation with the framework to ensure secure storage and display of updated information in a web application. Below is the unbiased list of databases that are in perfect sync with PHP. It is an RDBMS, means it is organised in multiple smaller tables rather than having all data stuffed into a single long table thereby, ensuring speed and flexibility to a normal database on behalf of a simple query. MySQL allows users to combine various information from different tables using Structured Query Language (SQL). It is a quick and reliable and open source database option that has made it presence felt by getting implemented for some top-notch web-based applications, u like Facebook, YouTube and Twitter as well as preferred choice of multiple start-ups. 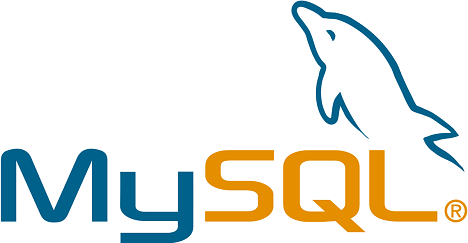 The community version of MYSQL is free and serves as an excellent platform to kick start your learning. MySQL Workbench is an intuitive option that will assist beginner in learning syntax by letting the user view the syntax created by tool once the task is designed. To get started with MySQL download both the MySQL Community Server and MySQL Workbench tool. PostGreSQL advanced optimization and compression features which make it stand next to Oracle. In PostGreSQL pg_stat_statements act as a very important tool for boosting database overall performance by recording every query and how long they took. Interestingly it will help in identifying the areas that can be optimised to get an overall time back using one simple query. This amazing database enables you to have arrays of any other type of data within a single field so you can easily have multiple values in a field without adding an another table join. Download here. It comes bundled up with very versatile and highly advanced analytic built in functions to fully leverage powerful operations at the C level. Oracle is also popular for implementation of advanced partitioning, sub-partitioning and multiple options for truly customizing business solutions. PL/SQL, packages, functions, procedures features offered by Oracle are not only organised and clean way but also an equally powerful method to manage code in the database. It also provides full support for full online backup and recovery as well as very robust software fault tolerance in case of disk failure. It’s seamless supports for cursor lightens the burden on programmer from the performance point of view by enabling the row-by-row processing. Multiple cursors are supported by Oracle per connection that too in strict adherence with ANSI standards. Download Oracle to start with it. Among database administrator (DBA) community Sybase database is considered as extremely reliable and easy to maintain in comparison to Oracle. The modular approach with a simple syntax It also supports most affordable Total Cost of Ownership (TCO) compared to Oracle and other DBMS. Sybase undoubtedly delivers the most secure database experience hence find place with the US Dept. of Defense and CIA. Download Sybase here. IBM’s DB2 supports various object tables, Java method support, multiple user-defined functions and array support hence a more powerful Structured Query Language (SQL) in comparison to MySQL. It is flexible enough to be embedded inside the code of application programs written in different languages. Self-tuning Memory Management not only eases the task of memory configuration by automating value setting for memory configuration parameters but also enables the database to dynamically alter memory allocation when a change in workload is monitored. IBM regularly delivers software updates and patches for ensuring a safe environment to work. It is flexible and allows you the freedom to opt the most appropriate data model for each data management individually. Download DB2 to get started. Looking forward to responding to your queries and comments regarding your favourite DBMS for developing web based PHP application. If any information you want to get included I will update this article with it. In the meanwhile, I would suggest though there are multiple databases available these 5 databases are excellent in the terms of cost of getting started, the tools that it supports, help from the concerned community and the user interface. These are most important parameter when it comes to rank a database usability and its futuristic view.